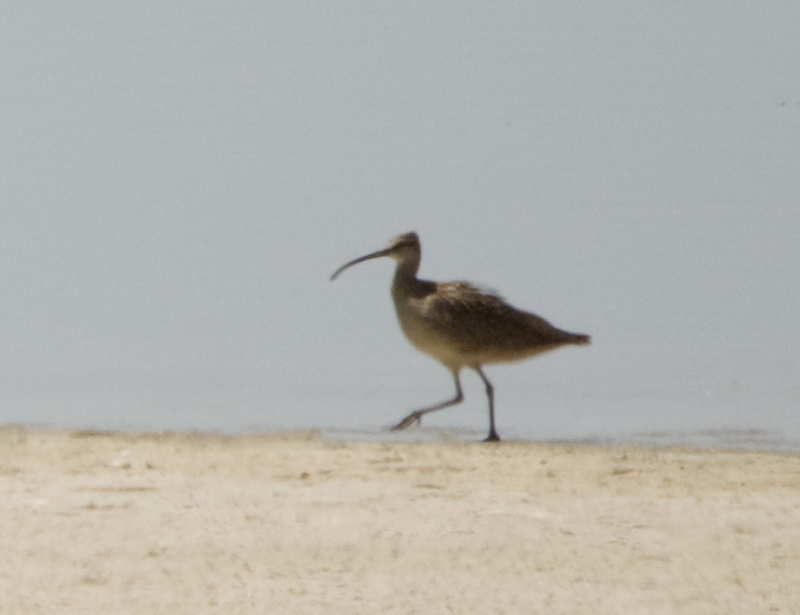 While out birding at Cochise Lake in Willcox, AZ a flock of 17 Long-billed Curlews and this one Whimbrel flew in. As always, Cochise Lake, produced some great birds. Other than the Whimbrel, at least 16 Willets were a surprise. The numbers of phalaropes was high; there were about 135 Wilson's and a couple Red-necked Phalaropes. A flock of 6 Lesser Scaup was also a nice addition to the list. I'm glad it has stuck around for other birders to see.